With our school visits, we have had a fantastic response from the pupils and teachers and lots of interesting questions. They seemed to really enjoy the hands-on elements and the workshop groups were really buzzing with enthusiasm. Gill studied Chemistry at the University of Edinburgh, receiving a BSc (hons) in 1986 and a PhD investigating the synthesis, structures and redox properties of transition metal macrocyclic complexes in 1989. In 1991, following a two year post-doctoral position, she was appointed to a lectureship in Inorganic Chemistry at the University of Southampton and was promoted to Professor in 2006. She is currently Head of Chemistry at Southampton. She has published >270 papers (http://www.researcherid.com/rid/B-9110-2009) and regularly presents her group’s work at national and international conferences. She is a Fellow of the Royal Society of Chemistry (FRSC) and served as an Elected Member of RSC Council (2011-15). Gill has a strong commitment to education in Chemistry, outreach and public engagement. At present her teaching spans a range of topics across inorganic coordination chemistry and macrocyclic chemistry, and she has served as External Examiner for UG degree programmes in several UK Chemistry Departments. She led Chemistry's Outreach Programme from 2000-10, while also holding several successful EPSRC and RSC projects in this area. She received the Vice Chancellor's Award for Teaching in Chemistry in 2006 and an RSC Award for Achievement in the Promotion of Chemistry (2007). 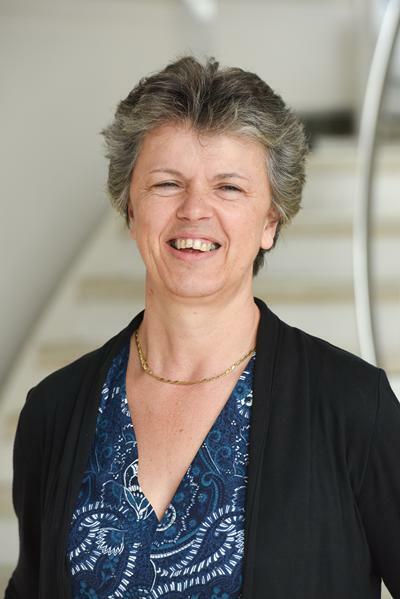 Gill currently chairs the RSC Outreach Working Group and co-led delivery of the ‘Taking Technology Smaller’ exhibit at the 2015 Royal Society Summer Science Exhibition, based on the an EPSRC flagship Programme Grant, ‘Supercritical Fluid Electrodeposition’ (www.scfed.net). Gill's research interests are mainly in the area of synthetic inorganic chemistry, including the design and synthesis of new macrocyclic and multidentate ligands involving donor atoms from Groups 15 (P, As, Sb, Bi) and 16 (S, Se, Te), and their chemistry with metal ions from across the periodic table. Blower, P. J., Levason, W., Luthra, S. K., McRobbie, G., Monzittu, F., Mules, T. O., ... Subhan, M. N. (Accepted/In press). Exploring transition metal fluoride chelates – synthesis, properties and prospects towards potential PET probes. Dalton Transactions. Hill, N. J., West, R., Levason, W., & Reid, G. (2004). Divalency and diversity: curious chemistry from groups 14, 15 and 16. Abstracts of Papers of the American Chemical Society, 228, U31-U32. Levason, W., & Reid, G. (2002). Early transition metal complexes of polydentate and macrocyclic thio- and seleno-ethers. Journal of Chemical Research, 2002(10), 467-472. Pessanha, M., Brennan, L., Xavier, A. V., Cuthbertson, P. M., Reid, G. A., Chapman, S. K., ... Salgueiro, C. A. (2001). Redox and redox-Bohr cooperativity studies in a new tetrahaem cytochrome isolated from Shewanella frigidimarina. Journal of Inorganic Biochemistry, 86(1), 378. Levason, W., Logothetis, T., & Reid, G. (2009). Synthesis and characterisation of two metal-metal bonded dimolybdenum complexes. In J. D. Woollins (Ed. ), Inorganic Experiments, 3rd Revised Edition (pp. 158-166). Oxford, GB: Wiley.